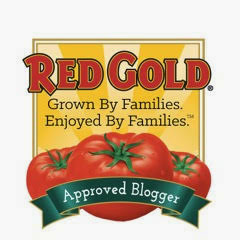 As a Red Gold Tomatoes Blog Ambassador, I sometimes get a chance to try out their newest items out in my kitchen. The Weekend Gourmet is all about big flavors, so you know that I was very excited when I had a chance to try Red Gold's new line of Sriracha-flavored items! Red Gold has always provided its customers farm-fresh tomato taste -- and now they're offering the bold flavors of Huy Fong Sriracha Hot Chili Sauce. 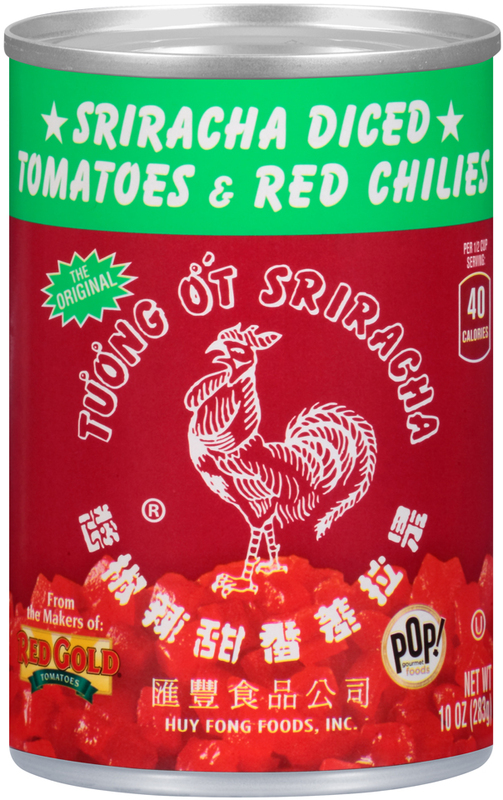 In fact, Red Gold is the only tomato company that brings authentic Huy Fong Sriracha flavors to its ketchup, petite diced tomatoes, and salsa. The combination of Red Gold's amazing tomatoes and the sweet-spicy garlic-infused flavor of Sriracha is a treat for your tastebuds! I used Red Gold's new Sriracha Ketchup and Petite Diced Tomatoes to create a big-flavor spin on a popular potluck salad. 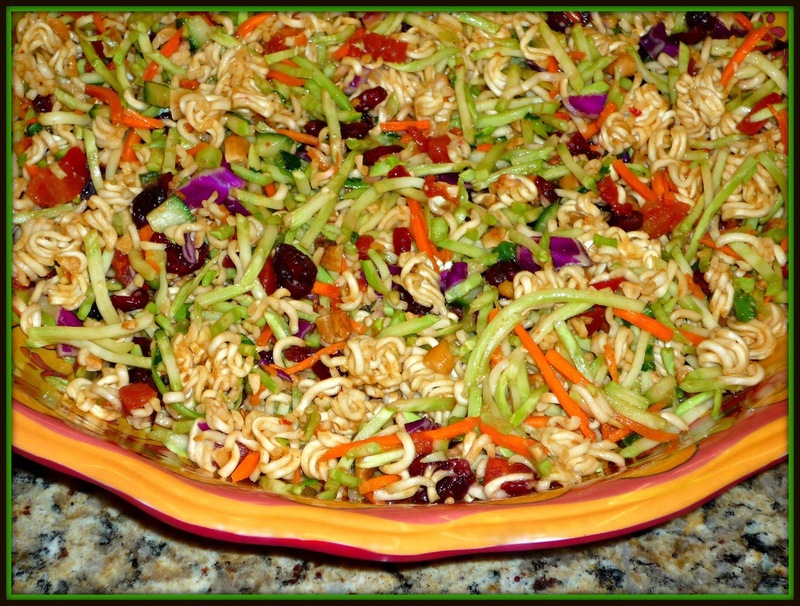 My Sriracha-Kissed Asian Ramen Slaw features the classic flavors of traditional ramen slaw -- amped up. I added a few extra ingredients...and the spicy kick of Sriracha! Diced cucumbers, flavorful chopped cashews, and sweet-tart dried cranberries tame the heat and help keep things interesting. This veg-friendly salad is perfect for your upcoming July 4th picnics and cookouts...it's sure to be a hit! Best of all? 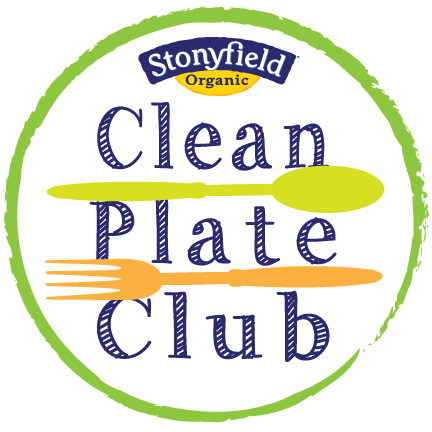 It's best when made a day ahead, which is a big time saver for holiday party planning! Honestly, I found this moderately spicy side dish very addictive. I can't wait to make it again all Summer long. That, my friends, is #HowISriracha! Step 1: Add the broccoli slaw to a large mixing bowl. Add the diced tomatoes, green onions, cucumber, cranberries, cashews, and crumbled ramen noodles. Set the spice packets from the ramen noodles aside until you're ready to make the dressing. Step 2: Add the vegetable oil, water, Sriracha ketchup, reserved ramen seasoning packets, ponzu, and rice wine vinegar to a small cup or bowl. Whisk until all of the ingredients are completely incorporated. Pour the dressing over the ingredients in the mixing bowl. 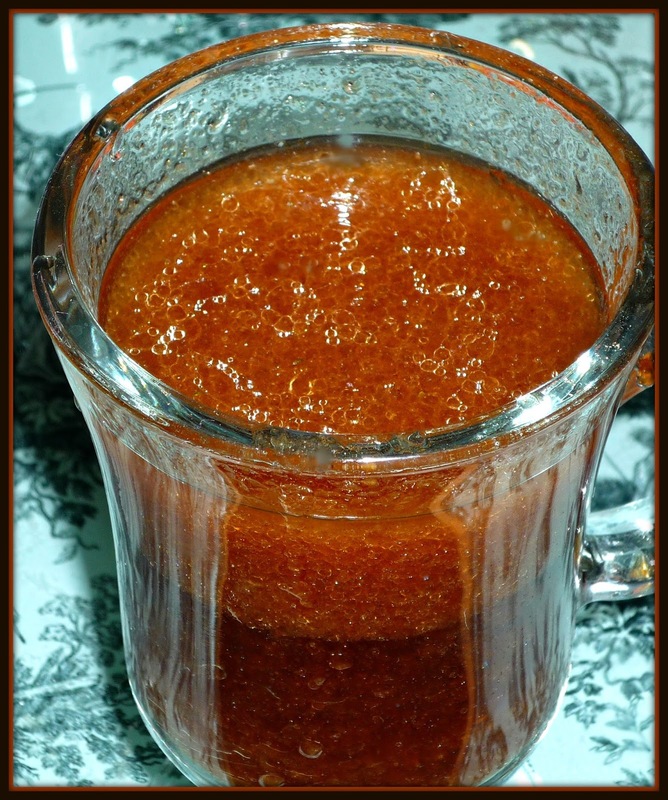 Use a spatula to completely mix the ingredients with the dressing. 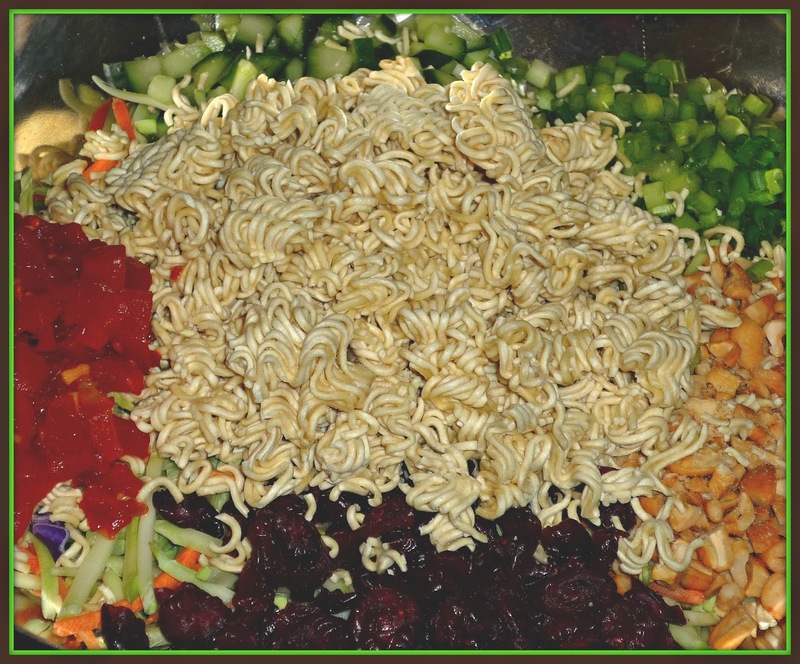 Step 3: Place the ramen slaw in a large, covered plastic container. Refrigerate at least 4 hours. However, overnight is best so that all of the flavors completely combine and the ramen noodles soften somewhat. 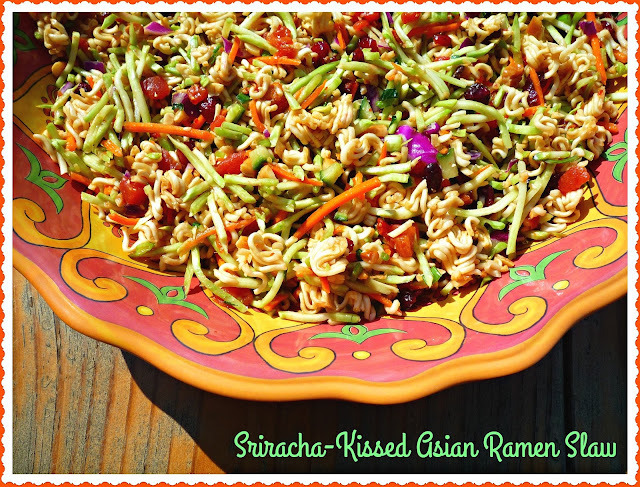 This Sriracha-Kissed Asian Ramen Slaw is feast for the eyes...and the tastebuds! There's a lot of flavors and textures going on here, and the heat is very moderate. I loved how the combination of spicy, sweet, and sour played together here. 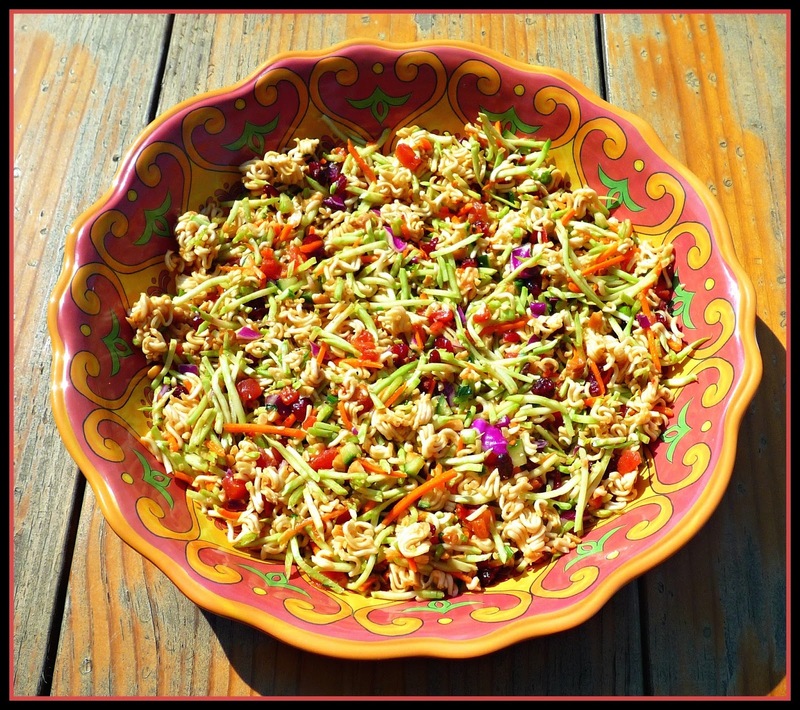 I hope you'll give this fun salad a try over the long holiday weekend -- or anytime this Summer. My friends at Red Gold are holding an online contest through July 27th. 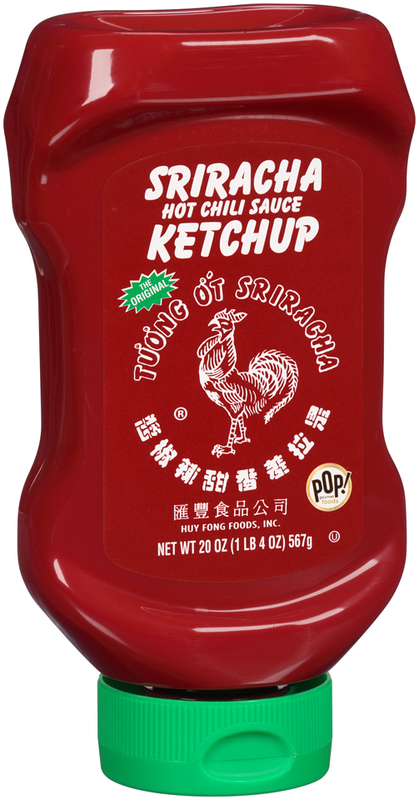 To enter the contest, simply share a picture or video of yourself with one of these new Sriracha products! Take a picture of a recipe using one of these products...or take a selfie with your favorite Red Gold Sriracha product. Finally be sure to upload your picture or video to Instagram, Twitter, Facebook, or the contest site -- be sure to use the hashtag #HowISriracha. Each week, Red Gold will pick the most creative picture or video as a winner of an Ultimate Sriracha Prize Pack. 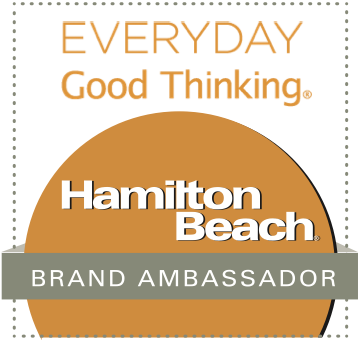 One Grand Prize Winner will win the prize pack + $500! I'm excited to share that one lucky reader of The Weekend Gourmet will have a chance to win one of these prize packs too! I'll be holding a giveaway over the long holiday weekend via my Instagram account. 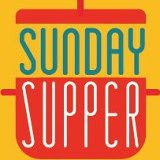 If you don't follow me, simply log in to Instagram and follow me at WEEKENDGOURMET. 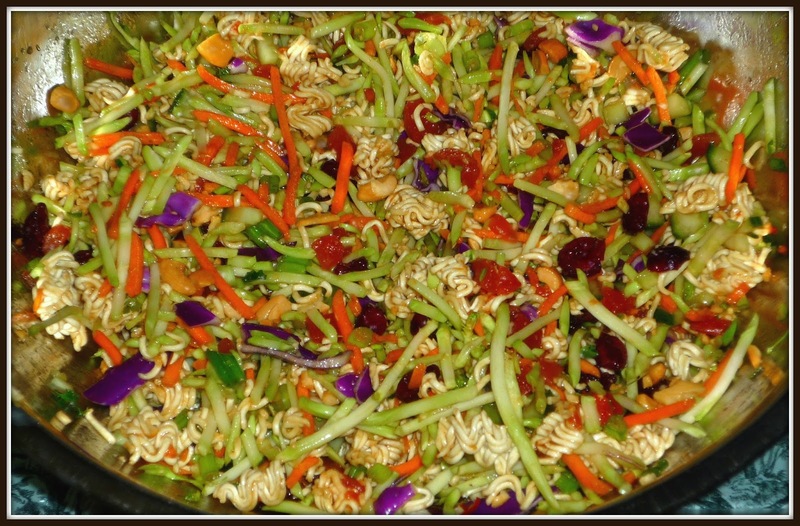 Entry is very simple: be on the lookout for a picture of my Sriracha-Kissed Asian Ramen Slaw on my Instagram feed. When you see it, simply leave a comment telling me how YOU would use these fun Red Gold Sriracha products in your kitchen -- and don't forget to use the #HowISriracha hashtag! Disclosure: Red Gold provided me with products from their Sriracha line to facilitate recipe development. All opinions are solely my own.